We are living in exciting times. Bible prophecy continues to be fulfilled on a daily basis. We are witnessing a tremendous outpouring of the Holy Spirit, as God prepares the world for the return of His Son and the establishment of His millennial kingdom. Jesus could return for His church at any time. As part of the work He is doing through Maranatha Chapel, God has established Maranatha Bible College as a place where men and women can commit a season of their lives to dive into the verse-by-verse study of His Word. Whether that season is one semester or several years, God desires to pour His Spirit out on those who are available to be led by Him. He desires to raise up faithful men and women who are equipped to live according to His Great Commandment--to love God, love people--and to fulfill His Great Commission--to make disciples. Creating places where believers can grow in their devotion to Christ through the in-depth study of His Word; in an intimate, practical, and academic way. Honor the Word of God. Every word of the Bible is God-breathed. It is without error and sufficient for all that pertains to life and godliness. Therefore, it is the supreme, final, and authoritative standard for what we believe and how we live. Be led by the Spirit in all things. Intellectual knowledge, without the understanding provided by the Spirit, is worthless and produces only pride in human achievement. We therefore depend upon the Spirit in everything we do, relying on Him to teach us all things and to conform us into the image of Jesus Christ. Teach the whole counsel of God. Our aim is that each student who completes the program of study will have been instructed in the whole counsel of God, from Genesis to Revelation. Teach the Word of God literally and personally. We seek to teach the literal interpretation of the Word of God, and we seek to teach it in such a way that its message can be applied to each student’s life, leading to greater maturity in Christ. See students grow in their knowledge and love of God. We come to know God through His Word. As we grow in our knowledge of God, of who He is and of all that He has done for us, we grow in our love for Him. See students fully surrendered to Jesus. We desire to see each student totally committed and abandoned to Jesus Christ, loving Him with all their hearts. As students surrender their lives to Him, we believe He will reveal to each of them His call on their lives, the gifts He has given to them, and the ministries He has for them. Equip students for the ministry God has prepared for them. It is the aim of each class to more fully equip the students for the ministries that God has planned for them. Become totally committed and surrendered to Jesus Christ. Conformed into the image of Jesus Christ, thus having the life of Christ living through them by the power of the Holy Spirit. Set free by the truth of the Word of God and equipped by the Scriptures for fruitful service unto the Lord. Develop the humble heart of a servant and allow the grace of God to shape and strengthen their lives. Desire to know God in a richer, more intimate way. Desire to allow the Holy Spirit to conform them into the image of Jesus Christ. Desire to know the perfect will of God for their lives. Desire to prepare their lives to be used by God in whatever capacity He might choose. If you desire to come to a deeper and more intimate knowledge of your Lord and Savior Jesus Christ and the abundant life that He has for you, if you desire to discover and become equipped for the call that God has on your life, we encourage you to prayerfully consider applying for study at Maranatha Bible College. Maranatha Bible College is a ministry of Maranatha Chapel, located in Rancho Bernardo, California, where Ray Bentley is the Senior Pastor. All members of the Bible College staff are either employees or volunteers of Maranatha Chapel, under the direction of Pastor Ray. Maranatha Bible College is also an Affiliate School of Calvary Chapel Bible College, whose Main Campus is located in Murrieta, California. Through this affiliation, students at Maranatha Bible College earn credit toward a Calvary Chapel Bible College degree. Although affiliated with Calvary Chapel Bible College, each Affiliate School is a separate ministry under the oversight and leadership of its own local church fellowship, which in the case of Maranatha Bible College is Maranatha Chapel. All courses offered for credit at Maranatha Bible College are approved and transferable to Calvary Chapel Bible College (CCBC Registrar’s Office makes the final decision as to which courses are accepted and are approved or denied before each semester begins). The Main Campus of Calvary Chapel Bible College is affiliated with Calvary Chapel of Costa Mesa, where the late Chuck Smith pastored. 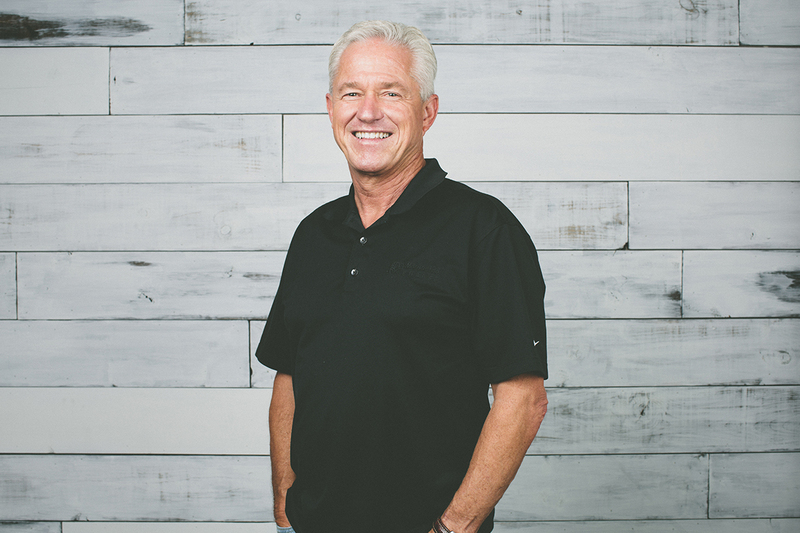 All members of the Bible College staff are employees and ministers of Calvary Chapel of Costa Mesa, under the direction of Pastor Brian Brodersen. We believe that Jesus Christ is fully God and fully human, possessing two distinct natures which are co-joined in one person; that He was miraculously conceived by the Holy Spirit, born of the virgin Mary, lived a sinless and miraculous life, provided for the atonement of our sins by His vicarious substitutionary death on the Cross, was physically resurrected in the same body that was buried in the tomb by the power of the Holy Spirit; that Jesus Christ physically ascended back to the right hand of God the Father in heaven, and ever lives to make intercession for us. After Jesus ascended to Heaven, the Holy Spirit was poured out on the believers in Jerusalem, enabling them to fulfill His command to preach the gospel to the entire world, an obligation shared by all believers today. (Maranatha Bible College & Calvary Chapel Bible College affirms the Apostle’s, Nicene, and Athanasian Creeds). (1) The belief that true Christians can be demon possessed and are helpless against the craft and wiles of the Devil; (2) any philosophy or theology which denies that human freewill can be exercised in the receiving of Christ’s free gift of salvation; specifically, we reject the belief that Jesus’ atonement was limited in its extent, instead, we believe that He died for all unrighteous people and that any perceived limitation rests in one’s free rejection of Christ’s finished work of atonement, and we reject the assertion that God’s wooing grace cannot be resisted or that He has elected some people to go to hell; instead we believe that anyone who wills to come to Christ may do so freely as a result of the Holy Spirit’s conviction and wooing persuasion of the heart; (3) “positive confession,” (e.g., the Faith Movement, that views faith as a force that can create one’s own reality or that God can be commanded to heal or work miracles according to man’s will and faith); (4) human prophecy that supersedes or is contrary to Scripture; (5) any introduction of psychology and philosophy which is contrary to Scripture and is in substance “according to the tradition of men, according to the basic principles of the world, and not according to Christ” into biblical teaching; (6) “Open Theism” or “Freewill Theism” which reduces God’s timeless, unchanging, dynamic nature, and exhaustive foreknowledge of future free decisions, to creaturely modes of being and operation; (7) the “Emergent Church” movement insofar as it departs from the historic orthodox Christian doctrines in favor of postmodernism; and (8) the overemphasis of spiritual gifts, experiential signs and wonders to the exclusion of biblical teaching. Please understand that we are seeking students that are like-minded with us in our view of Scripture. This is to limit distractions and divisions among the student body.